The special Penom Apple watch band is high quality magnetic closure stainless steel bracelet is here in the collection of online store. This is the black color 42 mm special edition straps for Apple iWatch. It fits for the wrist size of 6.15 to 10.35 inches. It is for all 42mm versions of Apple iWatch. This is really easy to install and comfortable to wear. Magnetic clasp is suitable to adjust the strap. 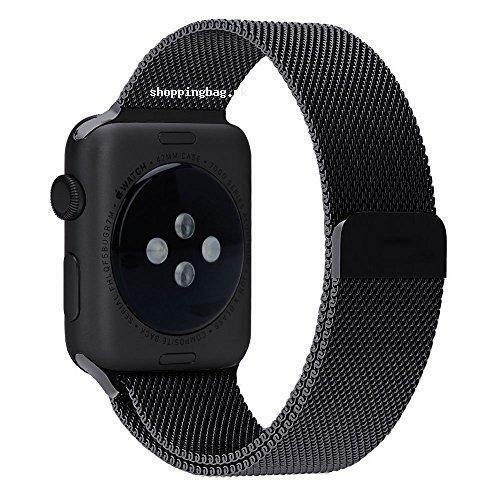 Place your order now to buy this Penom Apple Watch Band fully magnetic closure clash mesh loop for you at your location with cash on delivery facility all over Pakistan. You can also find and shop more high quality products imported from Amazon to have them for you that are exclusively available in our online store. Enjoy online shopping of international quality imported goods in Pakistan.